Use Google Drive to convert all your pdf format document into the word’s .docx format. Ever wondered how you can convert your pdf document into word format. You might also have wondered to modify a pdf format document. You most probably have searched the best pdf to word converter online because you don’t like the software of that kind that can be your ultimate pdf to word converter. You may found something online for your purpose but you may use google drive to convert your pdf document. So, here’s a quick tutorial for you. Choose the pdf document that you want to convert it into a word document. Be sure your pdf document contains texts because google drive won’t display the pictures contained in the pdf document after the conversion. Maybe it is one of the faults. But you may ignore it. Now open your browser and open google drive the way you want. You can search for google drive in the search bar or if you have opened your google chrome browser then move your mouse cursor point to the right top corner of the browser to locate the 9 dots and choose google drive. 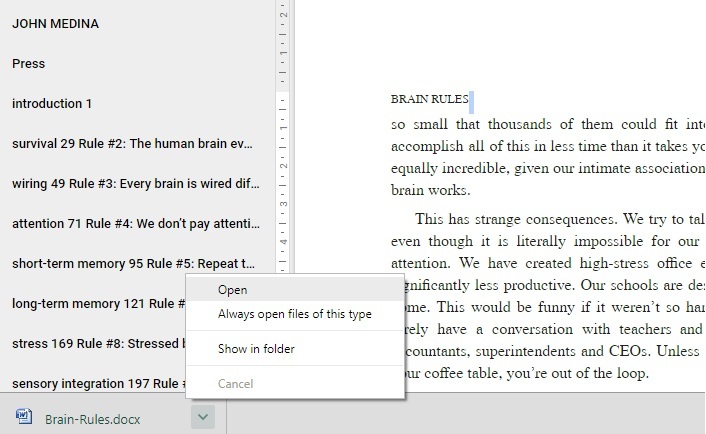 After google drive opened, select your pdf document file in your computer and drag it into the google drive windows in the browser. Now you can see your file has been uploaded successfully. In the browser, while opened google drive, locate your uploaded file and right click on it. You can see various options. Move your mouse to open with and then google docs. Read more: How to Download Jio TV on your PC? After clicking google docs a new window will open where you can see your pdf document opened in word format. Now the process is simple. Just go to file and then click the option download as and then select Microsoft Word (.docx). your file is now being downloaded. Open the newly downloaded file and use it as a word document to modify the content as you want. You may be finding it difficult to change the content in your pdf document format but that is not the same with the .docx file format. I hope you like the tutorial. if you don’t please comment below for other methods of converting pdf to word documents.